and a ruler, A+ paper and a little blue book! 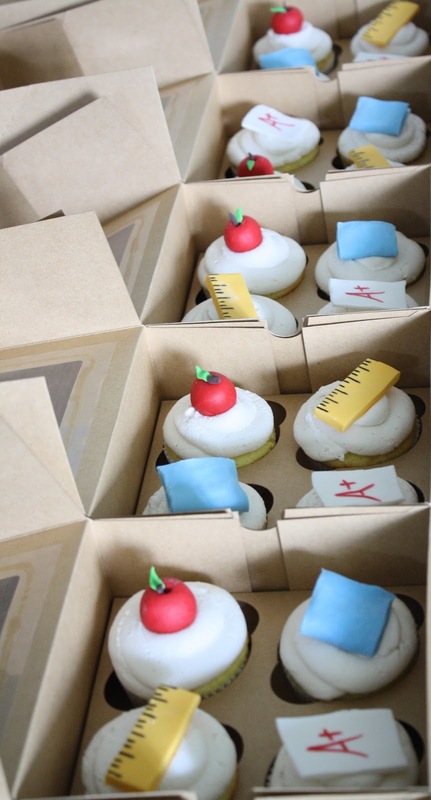 These cupcakes were for my kids' teachers to say thank you for a great year. 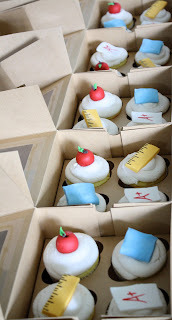 They were lemon cupcakes with lemon buttercream frosting and fondant toppers.